Toy Networx is a warehouse filled with over 10,000 different toys available to you at wholesale prices. This is a fund raiser for the West Preston Baptist playgroups, which also supports a playgroup for Post-natal depression mums. They will receive a cheque for 10% of the amount spent on the night, and you get to buy from a huge range at discount prices. Start your Christmas shopping early. Everyone is welcome – invite your family and friends. The more the merrier! Sorry, children not permitted. I have a Queen size mattress and base that's going for free. It's been in my spare room and we're clearing it out. 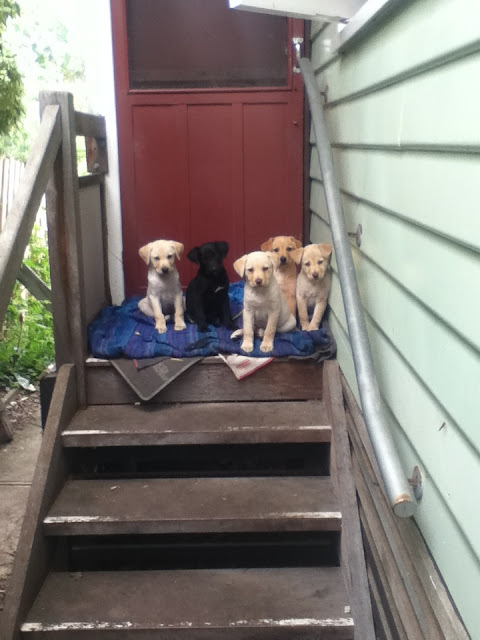 Call Emma-May: 0411 809 450 if you are interested. After planting out our front last year - its now time to cut back - so if any-one would like some cuttings (for free) please let me know. Just give me a call on 93546401 during the week. 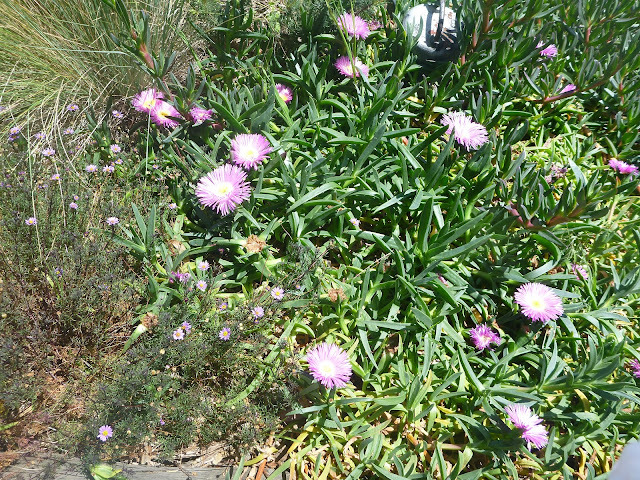 Pigface - 3 Different varieties & Rose Geraniums. I would like to invite you to two free sessions at Thornbury Women's Neighbourhood House in November. I am offering companioning creative care to explore and experience self - care and 'giving from the over flow' a Sufi saying, rather than giving from a well. The arts have long been acknowledged as contributing to people's well-being and are open and accessible to everyone. Maybe you care for a loved one and would like to explore some ways of being creative - to also care for yourself. I draw on my 10 years as Registered Nurse and 5 years of parenting and creatively working with a wide range of people including children and adults, who require full time care by loved ones, so I feel I may know a little about your challenges in being a Carer and also your joys. I offer a gentle, safe, nurturing and nourishing space for you to gather with others who may share some of your experiences. 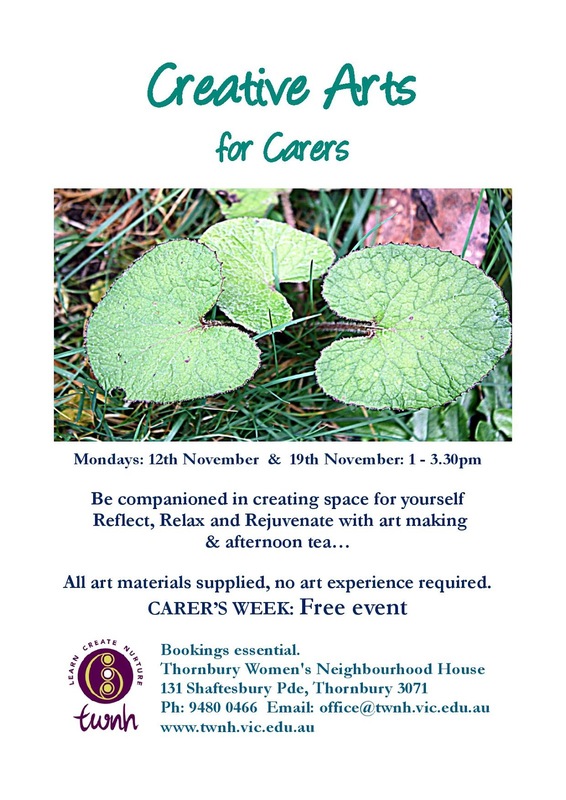 This is a free event offered by Thornbury Women's Neighbourhood House for the recent October Carer's Week. Could you do with some Relaxing and Energising? Book in for a treatment and feel your energy refreshed. Also in the Season of Spring, Shiatsu can be very helpful in supporting a Detox program. This is the Season which is of the Wood Element in Oriental Medicine, when the Liver energy is at its most active. I have practiced Shiatsu in many varied settings, supporting women in birth, assisting people experiencing drug & alcohol withdrawal, in corporate offices, and in the beautiful clinic space at Autumn Retreat. I have worked for many years as a Registered Nurse, and am mother to my 3 1/2 year old daughter, Micah. Tuesday 2pm - 8pm (and other times by appointment) $80/$60 conc. Wondering if anyone can recommend a good place to purchase Bantam Hens? If so would appreciate you dropping me a line at kellyredfalling@gmail.com and letting me know about it. I got a cosy green woolen hoodie, exotic woven scarves and flowerpots. I got to feel welcomed into a great community. Gee thanks one and all! Looking for some recommendations for local babysitter in Brunswick or Coburg. Expressions of interest for NPS fete! If you haven't heard the exciting news yet the Newlands Musical Market festival is coming up on Saturday November 24 from 2-6. We are looking for expressions of interest for more stalls. The theme is local, handmade, homegrown, secondhand. Our little Coburg North forest is getting out of hand. We have a 65 year old Canary Island Date Palm causing possible interference with the neighbours building plans…. We would love to keep it, move it, realign it’s probably not practical. 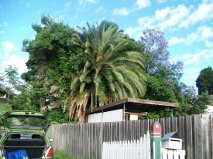 Firstly – right now we are looking for someone to tidy up the tree, cut a few branches off a large tree that is next to the palm and do a general cleanup in this very overgrown corner of the yard (ivy!!) so we can see a little clearer what the issues are. Then some advice on what we should do next. Does anyone have the skills for or information on the removal of European Bees? As of last night, a colony have taken up residence in the vent space of our house. If you have the skills and ability to transfer this buzzy family to a hive (material or afterlife hive); or any tips on cheap, easy removal, please let me know. They are hogging so much of our backyard, on this lovely sunny day. I don't even wish to risk getting the clothes off the line. Wasn't clothes swap great? I took a few photos on the day and thought you might like to see them. 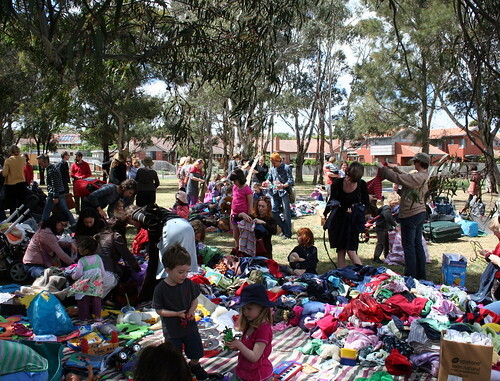 If you've never been to a clothes swap before, this is what it looks like. 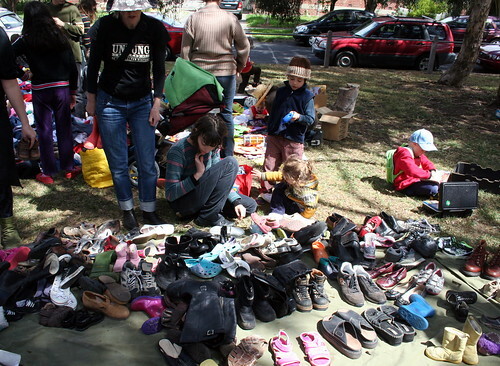 It's $5 per family, you bring all your unwanted stuff and then take something new to you home. The money goes to a local cause, in this case curtains for the Newlands Primary School library and left over goods are collected by a charity. There was also a refreshment table with home made cakes, biscuits, tea, coffee and soft drink. I am looking for a station wagon in great condition. Preferably with a roadworthy and some registration on it. Chanting Course and Yoga Retreat! Friends of Edgars Creek Planting! A reminder about our final planting activity this Sunday from 1-3 PM (from around 12 noon we will be on site if you want to join us earlier). Please join us to celebrate the end of the planting season (even if you haven't been down for many events for the year! ), though it is not the end of the calendar of events – we have a scheduled November event as well (which incidentally will change from the original calendar as the mulching of the cliff extension will now be done by “blow –in” mulch - thanks go to Lori and the Moreland City Council for their support with the mulching). I would like to introduce to you my new business, HumaNature Connect. The first offering of this business will be the 'Creatively Connecting to Nature Network' . It will be free. I invite you to check out all of the information on my website http://humanatureconnect.com/network/ and the attached flier, but in brief the network is for facilitators, artists, educators, therapists or any other practitioners that uses creative expression in their work to explore relationships with nature. It is designed to enable practitioners to meet with other like-minded folk to share and explore their practice, experientialy. I am contacting you because either you do this kind of work or you may be networked to those who do. I would really appreciate if you were able to share this information within your networks and display the flier if you think its appropriate. RSVP is to humanatureconnect@gmail.com. 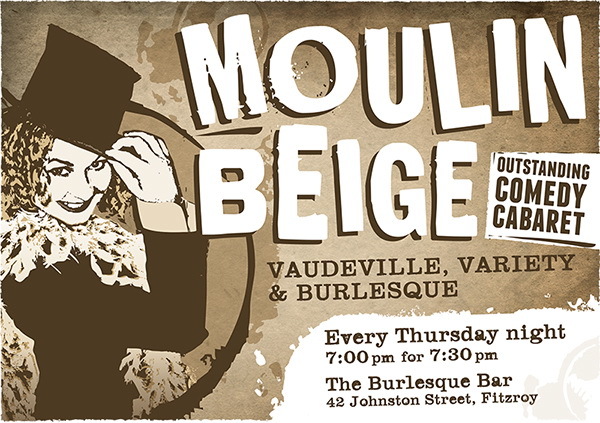 I really hope to see you there! As you visit my website be aware that I am still building the content in particular the 'Services' section so I apologise for any current gaps. In brief my work will focus around developing and facilitating reflective programs that explore relationships with nature using experiential, adventurous and creative approaches. The purpose is to build eco-literacy leading to a positive influence on personal well-being and in turn the health of the environment. I will also be offering Consultation to assist others to plan similar programs and or nature and adventure based experiences. My programs particularly suit a personal and professional development context. They can be stand alone or can serve as an engaging framing or debriefing activity. Programs will be aimed at the general public, mental health, education and community sectors. Thanks for your support as I establish my exciting new venture, HumaNature Connect. PS: I also have a Facebook site. If you and or your Organisation has a Facebook page it would be great if we could 'like' each other for the purpose of cross promotion. Does anyone have any recommendations for bathroom renovation people? We're not after anything fancy but my idea requires someone who's good with timber (and tiling and plumbing of course). House to rent needed now or anytime before Feb. Looking for 1-2 year lease. I am an Excellent tenant! collapse again, there is a 'peak time' for baking. I never knew but found out the hard way. And now this; I doesn't like to be treated too vigorously. Tat tat. Very fussy. A bit like my youngest daughter. 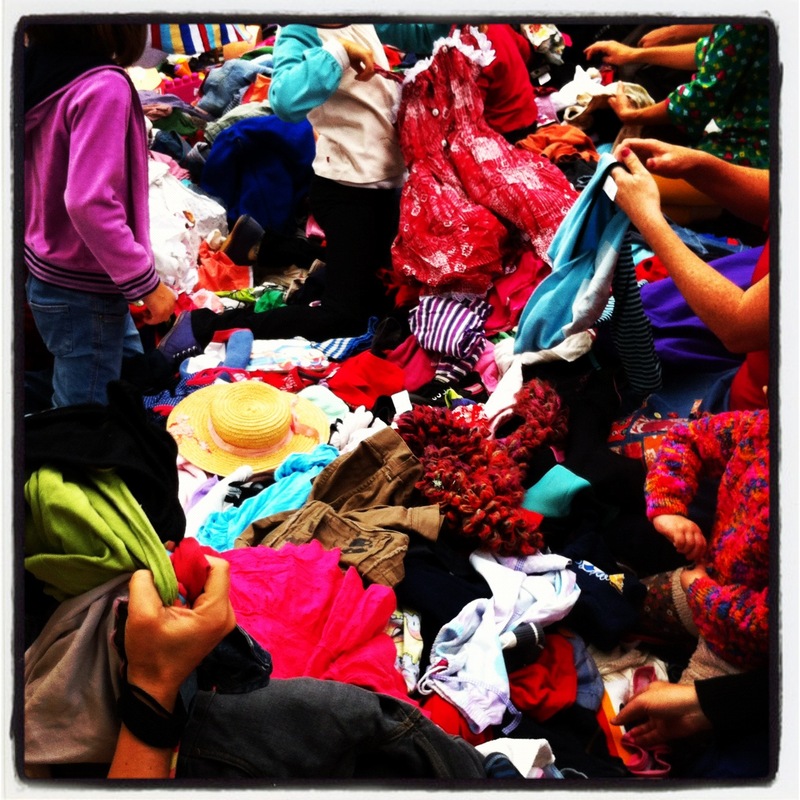 Just a little reminder that the clothes swap is coming up next Sunday October 21 starting at 11.00. 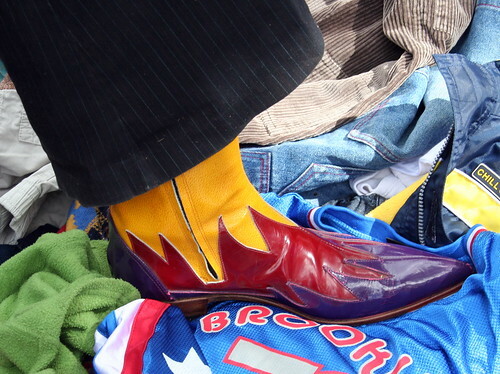 Bring anything you no longer need and swap it for something that you do need! $5.00 per family to join in. Don't forget to fill your pockets with change so you can fill yourself up with delicious cakes (or even better bring along a cake to donate). We are fundraising for curtains for the Newlands Primary School library. Cheers Mim, Mel and Andy. Ps - the first Friday night BBQ was very cold but still fun! Suzuki Ignis for Sale (2002), done lots of kms and needs some brake work but registered and goes. Its a good little car but rough around the edges. My mum has given me her old car so I didn’t want to spend the money to fix this one up. In Preston if you want a look. Hi newlanders! Its Sip here, the baker. 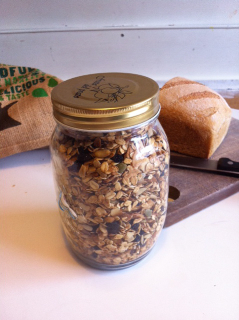 I am now making granola fresh every week, to kick start your weekend. All you need to ad is fresh milk or yoghurt. Comes in a glass jar, for $12. A refill is $10. Orders are welcome in the same trusty way you order bread; mobile phone, email or a knock on my door. every saturday morning after 9am. You can leave money in the pot inside the cabinet. Regular orders are welcome, just tell me once, and you don't need to repeat the order. 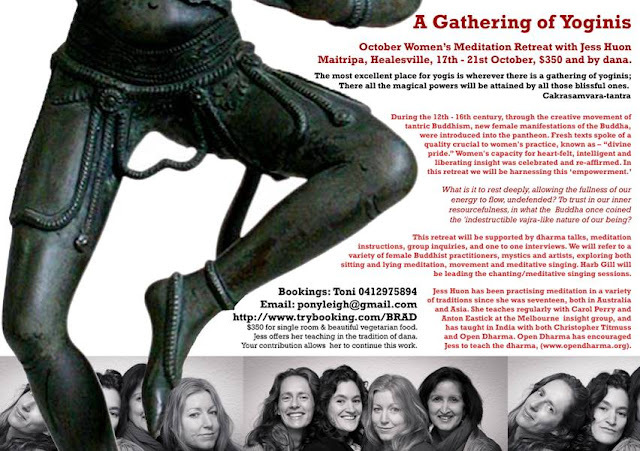 I would love to share the news that Jess is holding a retreat very soon for women. 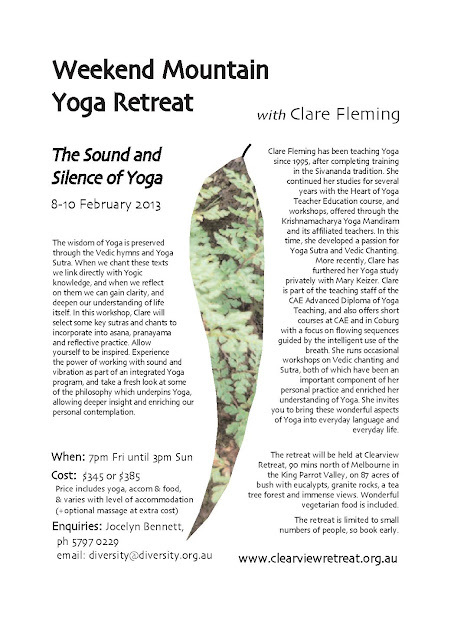 I wanted to let you know that my next retreat A Gathering of Yoginis is looming close - I would love to see you there! I have received from brave female maverick teachers. This will be an intimate retreat . . Please check out the flier below! 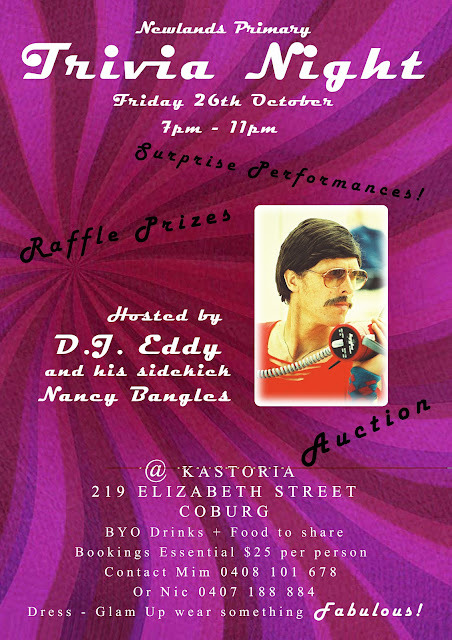 Newlands Primary School are holding a trivia night on Friday October 26 at the Kastoria Club up the top of Elizabeth St. It is looking like being an excellent evening and we hope to get lots of locals along. I have a feeling it is not going to be a 'run of the mill' trivia night. If you can't get together a table of 10, you can be put on a table with others. I'm most excited to be pulling together a class for us, and our kids. And also excited about moving into a place of empowerment and away from fear! Enter via Newlands Rd, Off Murray Rd, Heading away from city. Take the first left into De Chene Parade, Continue past houses until you see the park on the left. We will be near the flying fox. Please feel free to pass onto anyone who may be interested, let them know to text me if they are keen. I have just moved into this area of Coburg and am involved with Moreland LETS. This is a community group based at CERES where the members offer things and do things for each other. There are LETS groups all over the world. The transactions are done using a points/credit system, without using money (except for materials and transport costs). Also we hold a Mingle and Market day on the 3rdSunday of every month at CERES. Newlands already has an organic bulk food co-op (that is soon to be extended) and in order to build upon our local buying capacity we hope to begin a co-op that focuses on stockfeed products, manure and straw. In order to minimise overall transport and create a ‘gardening community’ the Feed for Food co-op will place an order every 3 months with Andrews Stockfeed, Sydney Rd Coburg. Andrew will deliver the order to a designated house (on a roster system) for locals to pick up from. We have a trolley for this purpose if you would like to trolley your goods home. We will start out ordering a small range of products and hopefully branch out as the co-op finds its feet. Ordering via email to the co-op admin person (Mel) when the time comes. Pay via direct bank debit before the order is placed, payments will be organised by a co-op finance person (Pascale). Help sort the order if required (via a roster system). Pick up your order or organise someone to do so from the designated house preferably on the day of delivery or within 24 hours. Consider taking on the role of the co-op admin or finances position later down the track. The following products will be the starting selection, please note that the only products that will be able to ordered in smaller amounts (at this stage) will be the rabbit/guinea pig mix and shell grit. Everything else will come in bulk bags and this should mean that we need only order very 3 months. The pricelist is below and whilst the prices are current they may change. We aim to have our first order done in the next week so that we can have our next one shortly before Xmas. Friday Night BBQ's are Back! Now that daylight savings is upon us, Friday Night BBQ's in the park are back. Our family is very excited at the prospect of catching up with you lovely folks on Friday evenings! For the last couple of years we have been having the BBQ's and they are a very lovely way to bring in the weekend. All you need to bring is your own food/drinks/kids/family. Turn up when you are ready, wander home when you feel the need to. There is always someone in the park to chat to, quite a few of us live opposite the park and have the gate open for use of the amenities. 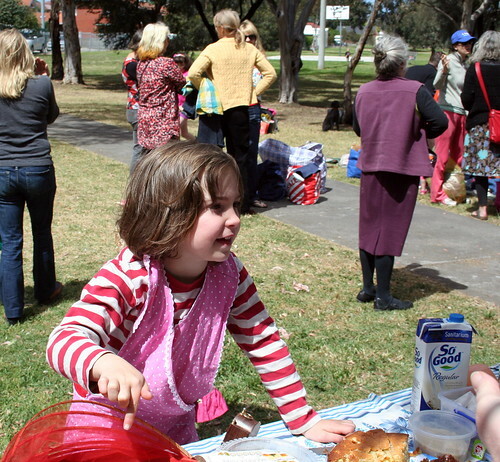 Ps - we meet in Cox Reserve at the free electric BBQ's, corner of Claremont and Elizabeth St. This happens every Friday night until daylight savings ends. Hi everyone. 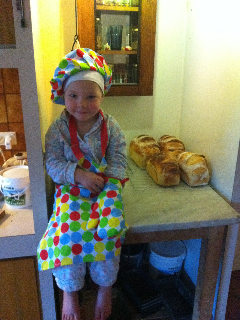 Baking bread is never without trouble I must say. I thought I had it under control; now the whole meal breads are not turning out nicely. If you thought they were a bit dense a.e. brick-like, so do I! I do not know why, the white sourdough loafs behave very differently. Anyway; I keep working on it and if I am confident, I'll put them back on the menu. The olive baguettes seem to disappear each time I put out a few extra. 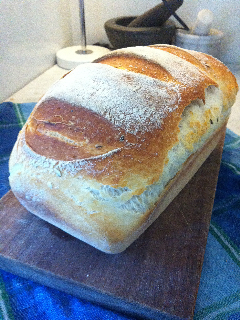 I keep baking them, and the olive loafs, but I might vary the recipe here and there. I have made quite a few errors lately with orders; mix-ups, or forgetting to write down a complete order. (sorry Betty!) I will work on that too, ahum. I bake a few extra breads/baguettes every week and put the on the top shelf with the text "EXTRA" This is for anyone who wants to buy it. every saturday morning after 9 am. You can leave the money in the pot inside the bread cabinet. I would like to do some yoga before work on a Thursday so I am looking for an early morning yoga class. I live in North Coburg and work in Brunswick so preferably would like to go to a class somewhere between home and work. Please let me know if you know of anywhere. Couldn't I please interest someone in a whole lot of (presumably) untreated old fence? It is out the front of 7 Hopetoun Cres North Coburg. In the driveway, but please help yourself!! 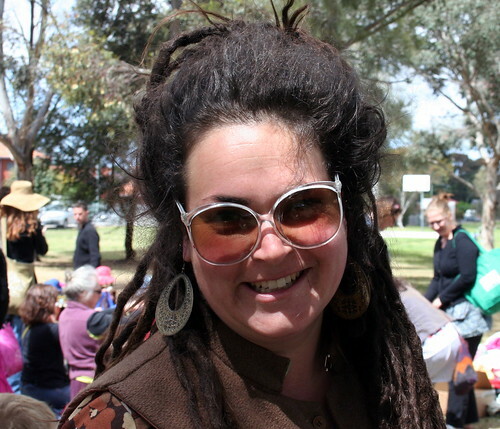 Nic (the wonderful local hairdresser) is looking for a woman with long hair to do some colour work on. If you are interested she needs someone next Monday in between the hours of 1 and 4. Give her a call 0407 188 884! 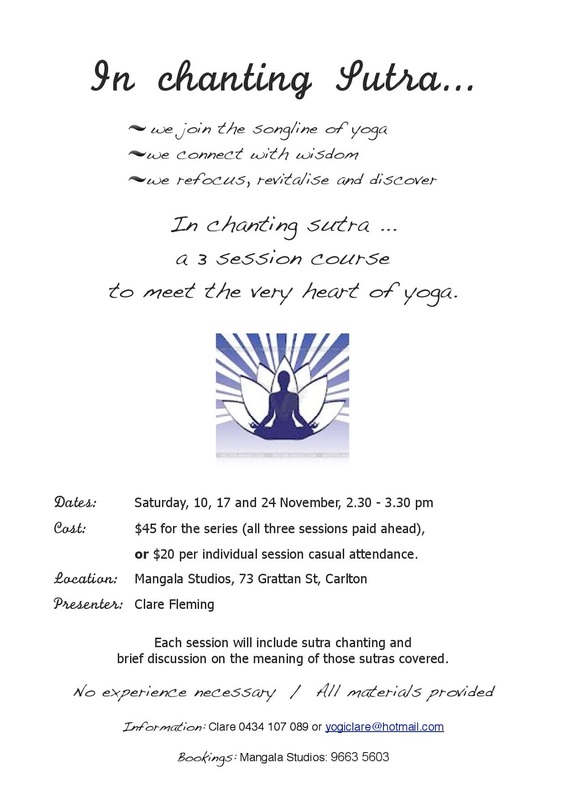 It's Spring.the birds and singing, the blossom is blossoming and... Newlands Yoga is back for Term 4. 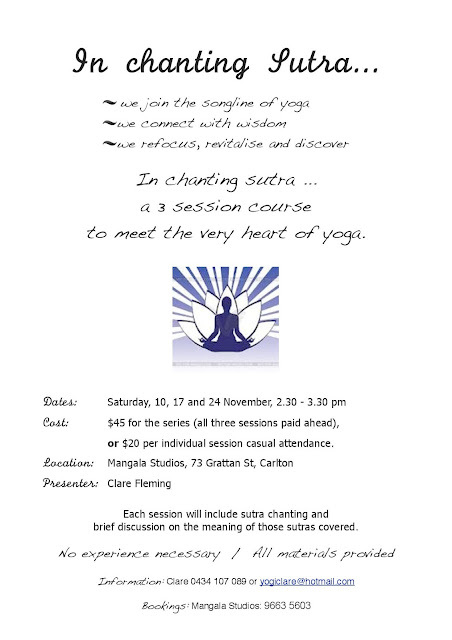 Come along for a lovely local yoga session with Clare On: Tuesday 9 October for an 8 week term. Concluding on 4 December. Costs: $80 for an 8 week term or $17 for a casual class. Note, on 16 October, Clare won't be able to make it so it will be a stretch and play session for those interested. Where: Newlands Elderly Citizen's Centre. Corner Connolly Ave and Murray Rd. Bring: warm socks, snugly blanket and yoga mat. Give me a call for more details or just turn up on the night..
does anyone have a copy of Caleb's Crossing that i could borrow for a few days? me in the library reserve queue! This has reminded me also...I am looking for a copy of Orlando by Virginia Wolf for book club. Does anyone have a copy I could borrow for a month? I got some of the last batch and they were the best avocados I have ever eaten! Andy even agrees that they were the best avocados I have ever eaten. Yay - more avocados! Thanks to those who've been munching on avocados so far, there's more where they came from (Andrew Jones in Irymple). There have been some happy avocado eaters around the place e.g. "oh and did I mention how incredible the avos are. The first one I ate, I just couldn't believe how incredible!" So get your orders in by Tuesday night (2nd Oct) for collection / delivery from Thursday (4th Oct) as described below. and yes they do run out . . The Bacon avocados are just about finished, so now there's a mix of Fuerte, Arj, Zut and Bacon . . what are all these? I'm not quite sure, but based on the picture below I can assure you that whatever you get, they are SPECIAL and not what you'd be getting in the supermarket! How do I get my order . .
NB. Delivery is available for cafes and restaurants only - mostly northern suburbs, if you're not sure give me a call - 0425 794 848 . . Apparently there are over 70 varieties grown in Australia . . but . .